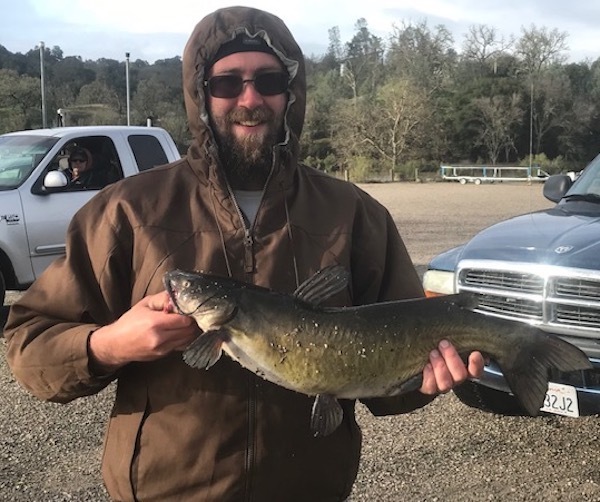 Caught a 9lb Catfish using Mackeral off the bank by the Marina Store. The temperature has dropped around the lake, water level has come up in the lake making the water murky and cold from all the rain that we’ve gotten this past week. First Redear was caught this week.